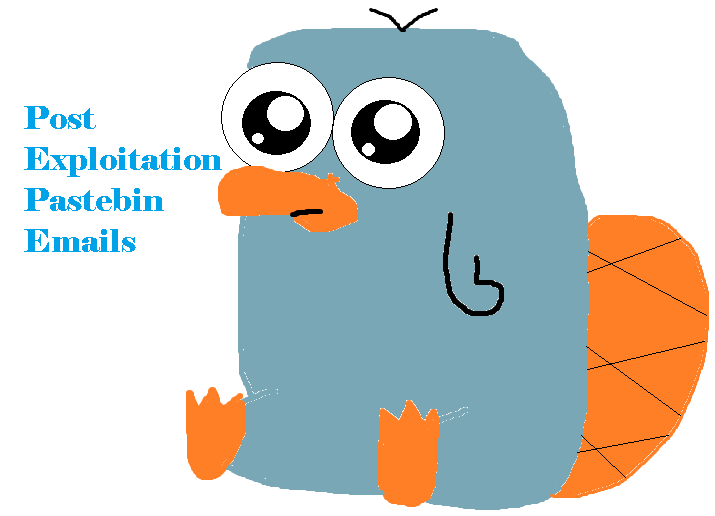 Script parses Pastebin email:password dumps and gather information about each email address. 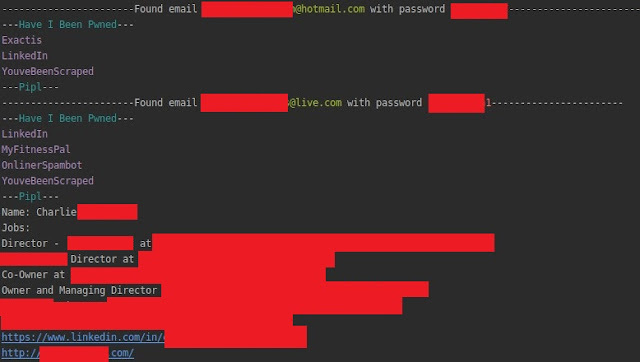 It supports Google, Trumail, Pipl, FullContact and HaveIBeenPwned. 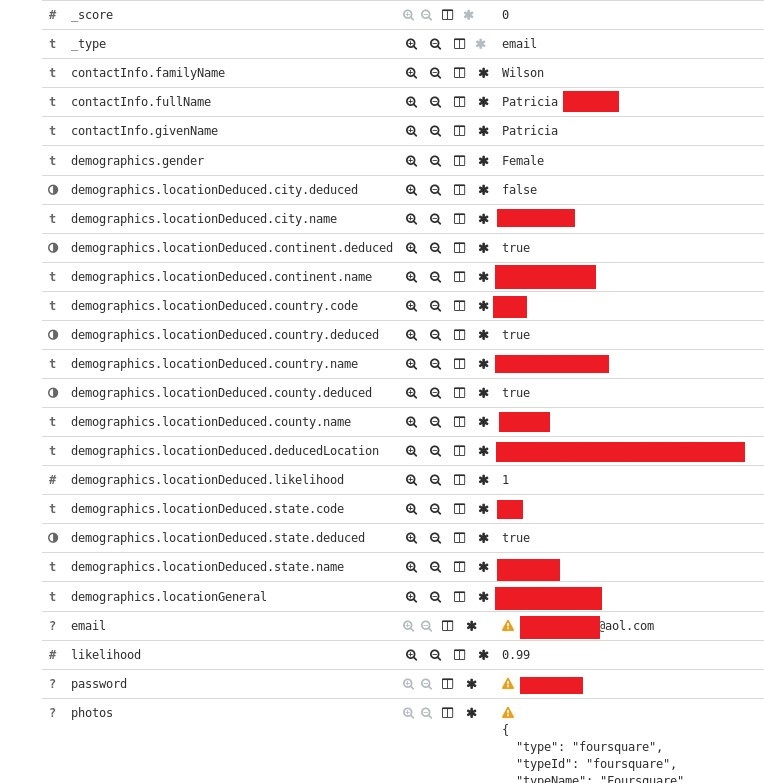 Moreover, it allows you to send an informational mail to person about his leaked password, at the end every information lands in Elasticsearch for further exploration. It supports only one format - email:password. Everything else will not work! For now, notification works when it finds match on FullContact and next sends you email address and associated social media accounts. Interactive mode, each email is checked individually and specific module is executed. Non-interactive mode, when only choosen modules are executed against email addressess.